Bond with your child & community! Music Together deepens our connections! Music with baby nurtures all learning! Making beautiful Music Together® with families in Southern California since 1999! 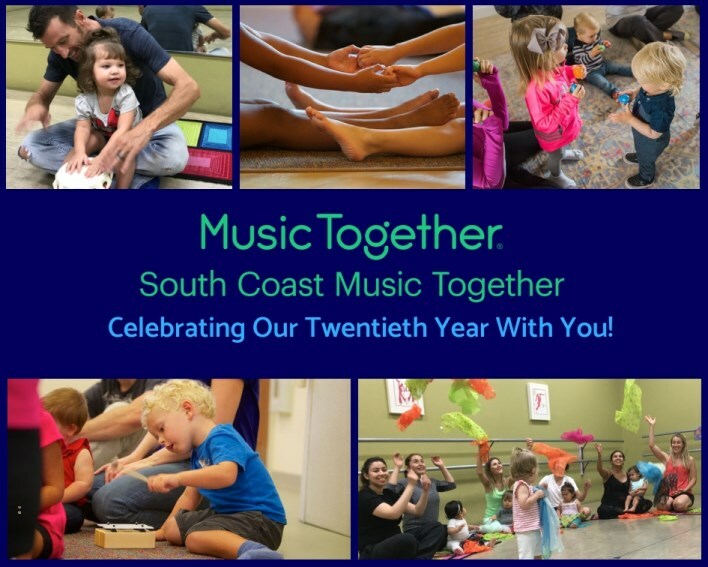 South Coast Music Together is in its 20th year of sharing The Joy of Family Music®! And since its birth, has been empowering families to be true music-makers, to form lasting bonds with their children and community through our award-winning music and international research-based curriculum! Our mission is to bring out the music already present in each individual, to educate families about the inter-relatedness of music learning and all aspects of learning, and to rejoice the hearts of our families, spreading a sense of harmony and joy throughout our community and our world through the gift of music. 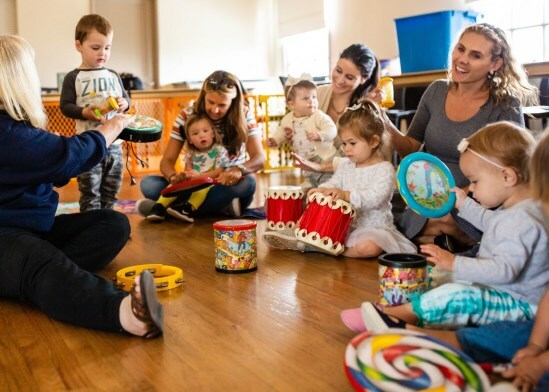 Every week in our music classes at South Coast Music Together, babies, toddlers, preschoolers, and the grownups who love them come together to play together musically. Little ones love playing along in class, and caregivers love being a part of their children’s growth into confident music-makers. And everyone loves our songs that’ll have you tapping along in no time. Music Together is the perfect family activity in southern California! Classes are offered six days a week at our various locations in Newport Beach, Irvine, Costa Mesa, and Palm Desert! Check out our "Schedule & Registration" page or click on this link http://demo.mainstreetsites.com/dmn1130/classes.htm to find the best class time for your family.